It’s been a long time since you have moved in your new home and now you are seeing pests in your home every now and then. First and foremost, you will take the most appropriate preventative measures and then you will use the insect sprays and different home remedies i.e. vinegar and water solution, countertops etc. Furthermore, bugs and pests won’t leave so easily and therefore they need a quick clean-up operation. One of the best things in such a scenario is to look for a professional pest control expert. When you are hiring a professional, here are some of the most important questions you should ask. Of course, it is extremely important to ask whether the company you have chosen have a license or not, any hidden charges and duration of the pest control service. Can I Live In The Home During The Millipedes Control Procedure? Depending on the severity of the pest problem and the different areas which need to be covered, you can either move out of your home or stay in it. It is always a good idea to speak with the pest control expert because they can give you a good idea about it. This is always a good idea to know the same beforehand so that you can do the arrangement in advance. Is There Something I Should Do Before You Start The Service? When it comes to the pest control services, it mainly involves removing the carpets and furniture especially if it involves outdoor pest control. A reputed and established service provider will help you understand the different aspects of the process before they carry out the inspection on the property. 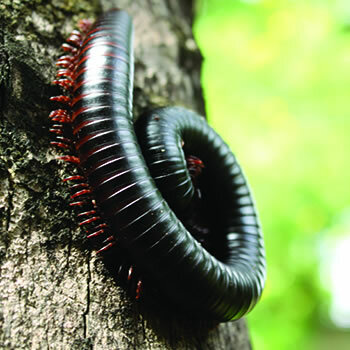 Keep all these great tips in mind to choose the best millipedes control services. Previous PostCockroach Problem: How You Should Deal With It?Next PostHow To Get Rid Of Creepy Rats?